The holidays are certainly a time for us to reflect on what we have been blessed with and to remember those who may be in need. Sadly, due to stressful economic times, too many of our community families are in want of basic necessities. It's important for children (as well as adults) to understand how much we have been given and how vital it is to give back. That's why, along with having my kids help me collect food for our local food drives, we'll be taking a tour of our local food bank. 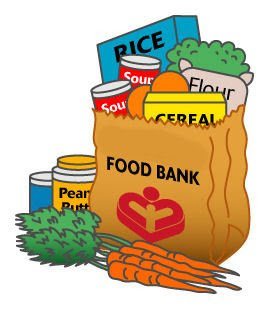 Our food bank offers a special family night activity this month where they teach about local poverty and offer a tour of the food bank and a service activity. At a time when toys run rampant and cookies abound remember those who find themselves a little hard on their luck this year and give back this holiday season.